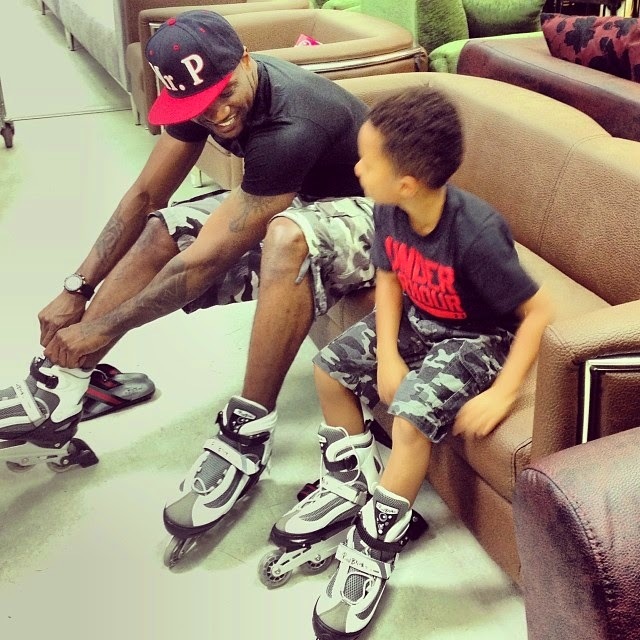 One of the member of the defunct P-Square group, Peter Okoye, aka Mr. P has taken to his Social Media page to revealed the latest goodnews in his life. Peter, 36, took to his Facebook page to annouce to his fans that his son Cameron Okoye has successful passed FC Barcelona training and is set to join the feeders team of the La Liga giants. 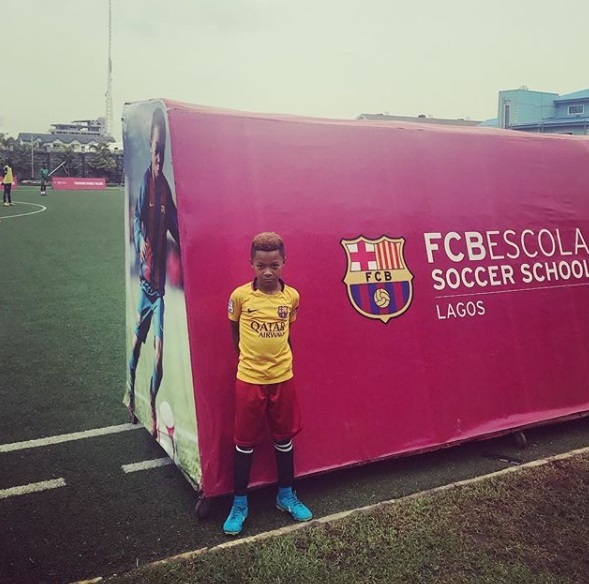 “Completely totally proud of you @cameronokoye10 (son) for making it into the team after the tryout at Fc Barcelona Lagos @fcbescolalagos You have made us all Proud. Congratulations ⚽ #SoccerStarInTheMaking⚽#FutureStar #TheYoungShallGrow Cc @lolaomotayo_okoye” Mr. P might be on loggerheads with his famour twin of the defunct P-Square, Paul Okoye, aka Rude Boy but he has constantly found ways of giving his fans that run into millions updates of how well he is doing as a solo artiste. Mr P revealed he is very proud of his son. After the fallout from the P-Square group, the Anambra born singer and dancer released ‘Cool it down’ and ‘For your head,’ two singles that did well commercially in the Nigerian music industry. Peter Okoye aka Mr.P is a Nigerian singer and dancer, former a member of the defunct P-Square with his twin brother Paul Okoye. The duo group P-Square conquered the African music scene for the past decade before their sad separation.